Jeanette Dale is know for using the 'old style' in her pieces. She prefers the traditional Navajo Style with heavy, deep stamping and high polishes. She always leaves a maker's mark on her pieces to ensure its authenticity. 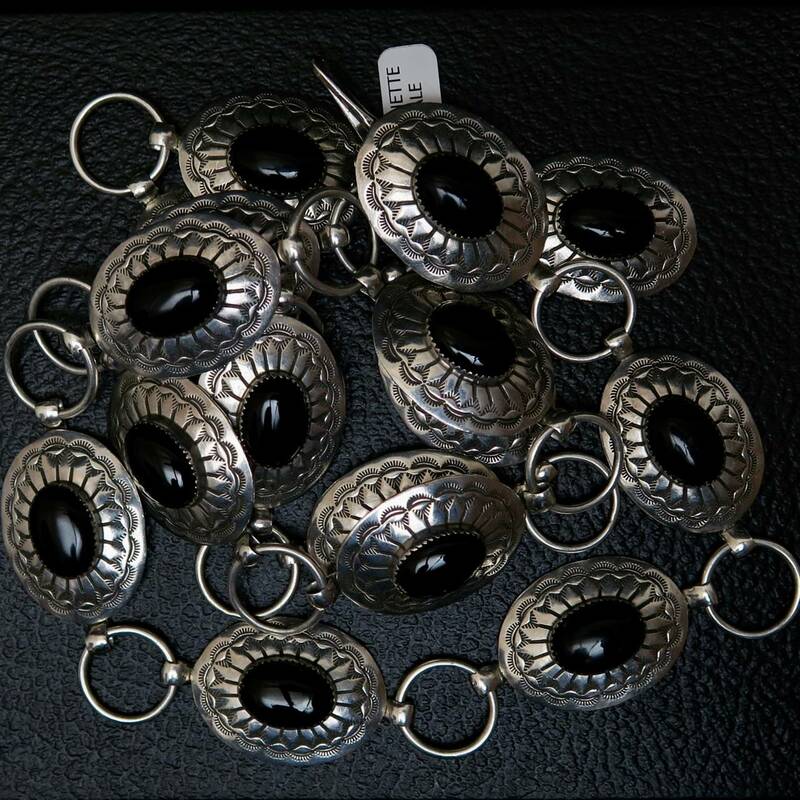 This belt is has sixteen onyx stones with stamping and shaping on the silver. This piece can be adjusted by attaching clasp to any ring at your waistline. A unique piece to add to your collection.